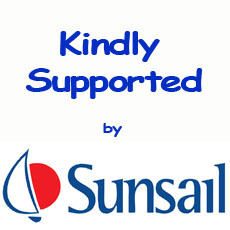 Aged 16, goes to Bequia Community High and loves being part of Bequia Youth Sailors as he is keen to learn new skills. At school he studies English, Maths, Science & Geography, but his favourite subject is English. 15 years old, also goes to Bequia Community High and he loves to get involved with sport, Physical Education being his own personal favourite at school. 16 years old, is at the same Bequia Community high school studying History, Geography & Maths. His reason for being part of the Bequia Youth Sailors: “It could take you far”. With the program looking towards the 2016 Olympics Games in Rio, he could be right. Akiedo Bynoe, aged 13 and another member of the Bequia Community High school. Kenus Tally, aged 15 from the Bequia Community High school. Reon Ollivierre, aged 13, from the Bequia Community High school loves to sail and although he in interested in Maths at school, he loves getting out on the water and sailing. Jadley Bynoe, aged 12 from Paget Farm school is also a keen maths student, but loves to get out sailing against others and enjoys the competitive side of the sport. Oreakay Joseph, aged 12 from Bequia Community High enjoys Physical Education at school, but loves the fact he has learnt to sail through the BYS and loves getting out on the water any time he can. Drewe Mitchell, aged 8 from the Paradise primary school is also the son of Andy Mitchell, one of the founders of Bequia Youth Sailors. Drewe enjoys Arts & Crafts at school, but loves to get out on the water sailing as fast as he can! I met these young men and feel that the future of this troubled world is in good hands when these BYS troops grow up and take the reins of responsibility.